90% بوليستر/10% صوف قطني متصل بشيربا. جسم مصبوغ بنسيج الشيربا الأسود أو الكحلي. Love it! and my Habs! 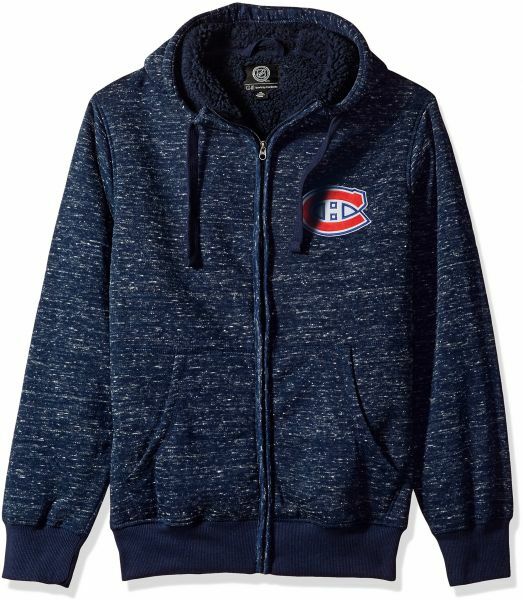 Great warm fleece with my Montreal Canadiens logo. I gave it 4 stars because it needs another patch or something somewhere. Very nice & comfortable to wear, an very very warm good for winter. Great product. Quality. Will buy again.